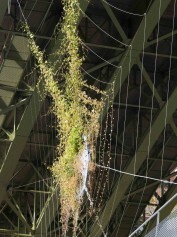 Ephemeral installation made for Lausanne Jardins 2009 in collaboration with Christophe Ponceau. 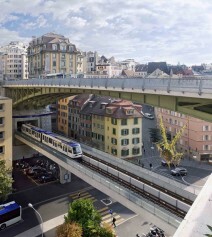 The theme was to work alongside the metro in the city center. 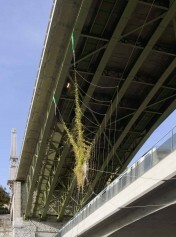 Green trap is a garden attached between 2 bridges. 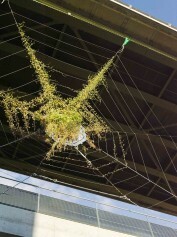 The suspension cables, arranged as a spider wed are used to hang the central garden, to bring water and to help plants to grow. For the 2014 edition, Adrien Rovero and Christpohe Ponceau were asked by” Lausanne jardins” to be the curator of the exhibition.